Hey, kid! Don’t freak out! 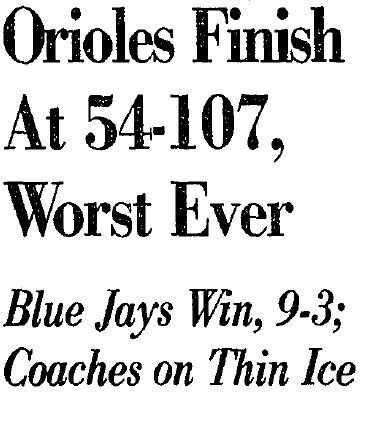 The Baltimore Orioles have had plenty of seasons worse than this one. Sure, the Orioles will finish a crummy third in the American League East this season. They’ve hovering a game under .500 with just one left to play. But, it coulda been worse. In 1899, the Baltimore Orioles finished 4th in the 12-team National League with a 86-62 record. Their .581 win percentage, good enough for 4th place in 1899, would have won them this year’s AL East pennant. So, there. Take that, Blue Jays. Those Orioles weren’t that bad, especially when you realize that 1899 was also the season that the Cleveland Spiders went 20-134, the worst team in baseball history. But, finishing 4th wasn’t good enough. 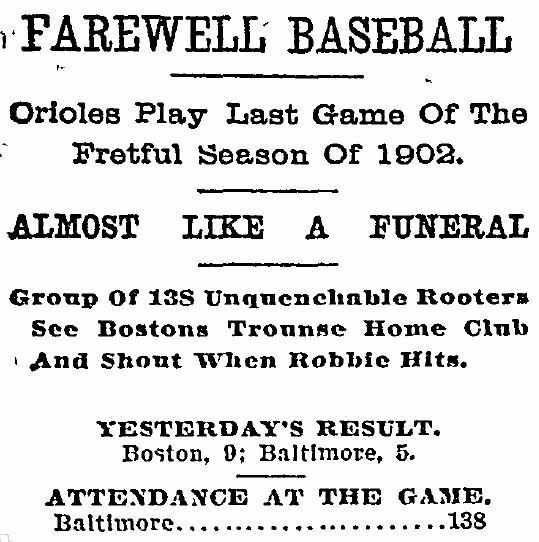 At the end of the season, the League decided to cut its “deadwood” and the Orioles were tossed in the chipper along with those lousy Spiders, the Washington Senators, and the Louisville Colonels. 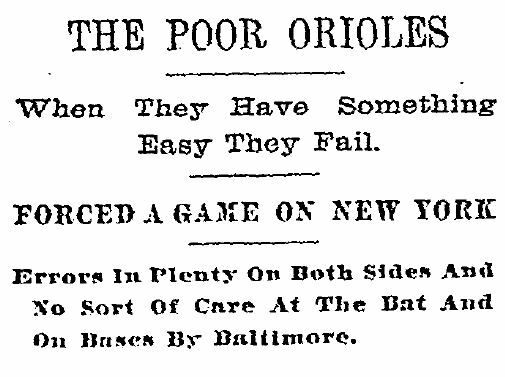 In 1902, a patched-together Baltimore Orioles, now in the American League, finished 8th – 34 games out of first – with a 50-88 record. At the end of the season, that team was packed up and moved to New York. 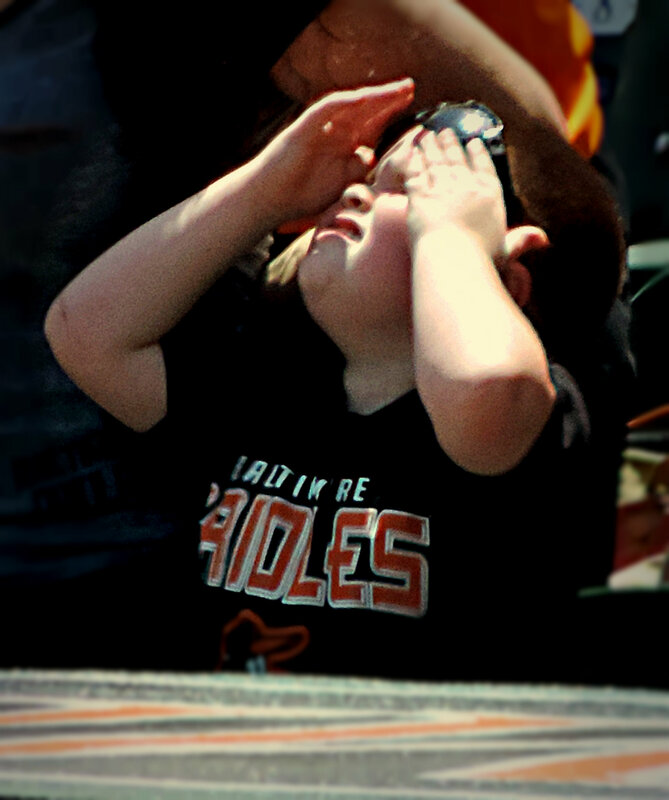 In 1988, the Baltimore Orioles started their season 0-21, the worst start by any major league team ever. They finished the season 54-107. But, they got to stay in Baltimore. So, hey. There is that. 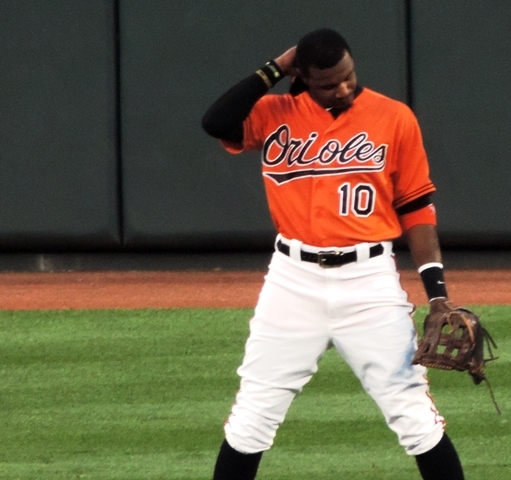 Even All-Star Center Fielder Adam Jones couldn’t figure out how to fix this team. One game left. And, one win away from finishing at .500. Ending the season with a win today over the Yankees sure would be nice. But, either way … it coulda been worse. 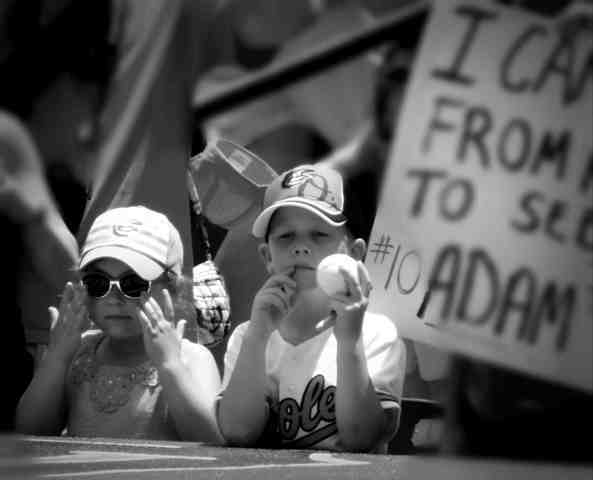 This entry was posted in Baltimore Orioles, Baseball, Baseball History and tagged 19th Century Baseball, Baltimore Orioles, Look At The Bright Side, photography by Jackie, The Baseball Bloggess. Bookmark the permalink. I think I could have written one of these posts about the A’s 2015 season. I thought that they were going to be contenders. Was I wrong about that. I know! I love reading the old stories about the games. Reporters back then were unabashed homers and they weren’t afraid to make their feelings known. Yup, Giants and A’s were disappointing, too. Ahh, well … just a few months until spring! I need the break. And since I do not follow any other sport, I’m free and clear until April. I still have the University of Virginia’s fall baseball season … that will carry me through most of October. They’re quite fun. And I actually get to GO to games rather than watch on TV, as I have to do for most of the O’s games. Sure, sometimes it’s freezing out, but nothing that six layers of fleece, a scarf, gloves, stocking cap, and plenty of hot chocolate can’t fix! Oh, my. You are dedicated. I can remember not too far in the past when I prayed for a season to be within spitting distance of .500. The fact that this season will rank as a disappointment with a record at or just below break-even shows just how good that the last three seasons have been. Hopefully this isn’t the beginning of another 15 year spell wandering in the wilderness, wondering what winning and (hopefully) playoff baseball is about. You’re right! I’ve blanked out those horrible seasons that weren’t so long ago. We’ve had a good run … I hope it’s the sign of more good things still to come! Hey only about 138 days til pitchers and catchers report! Today is cold and damp and I am on a restricted diet — no Chesapeake fries (sob). It will be the last game of my first year of season tickets. 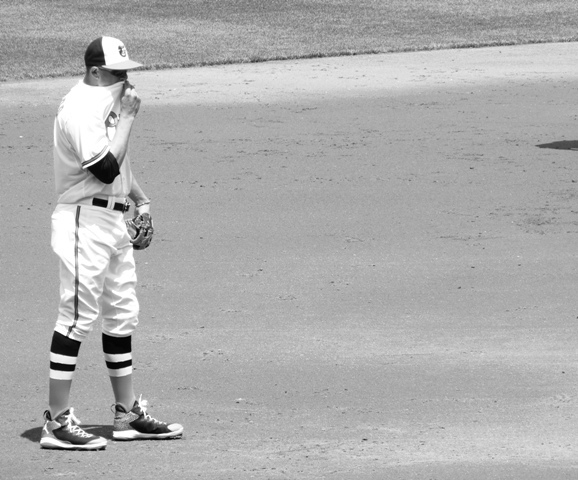 The O’s were my favorite part of this summer: I cheered, I danced, I laughed, I sighed. It may be the “end,” but it also is Steve Pearce Bobblehead day. Life is good. Awww, I’m jealous … being 3+ long trafficky hours away from Camden Yards is a bummer. I hope Steve “earns” his Bobblehead today. Bundle up! And, give ’em an extra cheer for me, wouldya? I’ll be watching on TV. I grew up following losers. It’s part of my DNA. The first team I ever followed was the 1973 Mets, only to have the dreams of a 9 year old crushed by the A’s. I followed the laughable Tampa Bay Buccaneers through their 0-26 skid, er I mean slow start, their first two seasons. My own high school track career…. The Tampa Bay Devil Rays (need I say more about them?!?). My Nationals were picked to be the next Big Red Machine this year… And my blog has all of about 6 followers. Which is about one follower per hour that I spent writing and scanning on my last post! :-) But a famous man once said “There’s no crying in baseball.” Gotta look for the highs: two no hitters by Mad Max, Kershaw has a chance for 300 K’s, and more importantly, the Man, the myth, The Legend, Vin Scully announced he will be back for one more year! Bring on spring!! Well, we got to end the season by sweeping the Yankees … so that was nice. Best of luck to your Dodgers … Greinke and Kershaw, my oh my!